페니케, 포르투갈의 호스텔 두 파르크 데 페니케 시마 | 호스텔월드에서 예약하세요. 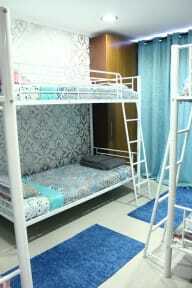 A hostel with four bedrooms, two bathrooms a living room and a kitchen in which it offers bath towels and bed linen washed to the guests and all utensils to cook , fridge, oven, electric plate, microwave, toaster kettle to heat water. And maid service every day. Peniche is knowing for its extensive town beach, adjacent surf strands and jumping-off point for the beautiful Ilhas Berlengas and nature reserve. The property is located at the entrance of Peniche near the hotel MH and the official shop of rip curl in Peniche. 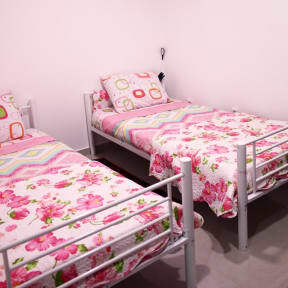 Our property has 3 shared bedrooms with shared bunk bed and 1 private room for 2 people in single bed. Reception Time 08:00 to 23:00. (In case of late arrival please make sure to inform us via email or phone call).